Just like my sister, one day I will have to look for my dream house. 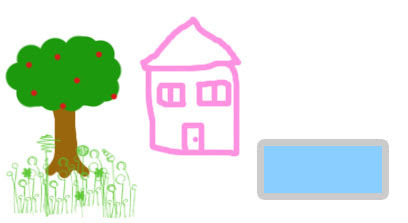 Can I have a pink house with a small garden, tree and a clear pool? Seriously, I don't know how people actually find THAT house. The one that takes your breath away and you know it is the right place to raise your family in and you wanna spend your whole life staying there. This is not some hotel alright? All the houses for sale I see don't look appealing. I mean, there has to be a reason why the owner is selling it, no? There are so many houses. How am I going to find one I like? Do I visit all of them? Do I check every neighbourhood? *faints* Thank God we have the internet now.. House browsing is just a click away. Obviously I clicked on the top ones. 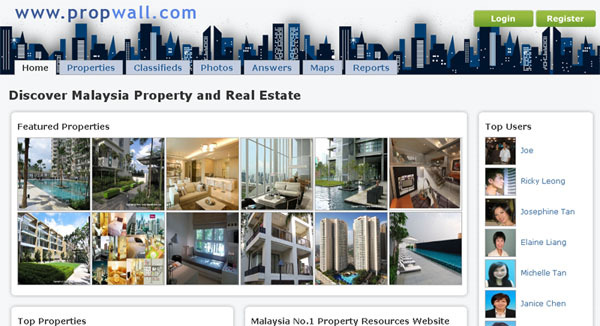 I don't normally click on Ads but PropWall claims to be Malaysia's largest property site. Sure anot.. Must click to find out what's so good. Browsing is really easy. You can choose to see all, condo, house, office, shop, factory or land. They include a little summary of the place, the details, layout and analysis. Just choose the area you want, fill in the details at the bottom (buy / rent) then wait for their response. Believe it or not, they will even tell you that a certain place is expensive so if you're looking for a cheap place, look elsewhere. This site doesn't just want to SELL but they care about the buyer as well ^_^ There's also a calculator & map for your convenience. Phew.. This site looks complicated but check it out! You can search by amenities which is very useful if you want a house near to a school/transportation/places to worship etc. This makes finding my dream home so much easier! I'll need a school nearby for my future kids, LRT station nearby but not too near until I can feel the ground shaking & preferably a hospital nearby as well. Imagine searching for a house like that without the internet! I'll just die.. When you buy a house, you need furniture to go with it right? iProperty also allows you to search for 'home services' where you can find for furniture, solar power, security, insurance etc etc. Last but not least.. ThinkProperty. Not much to say about this.. I think it's rather plain. Don't know why but when I opened it, I felt that it was targeted at the younger buyers. 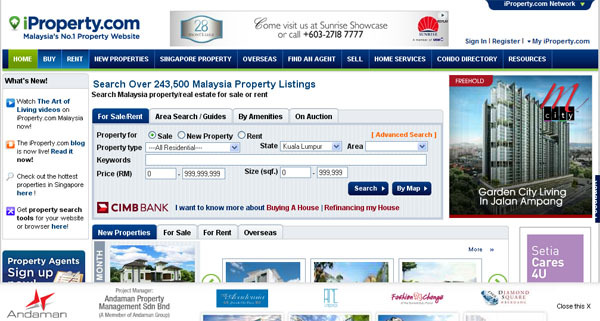 You can add search filters like type of property and price. 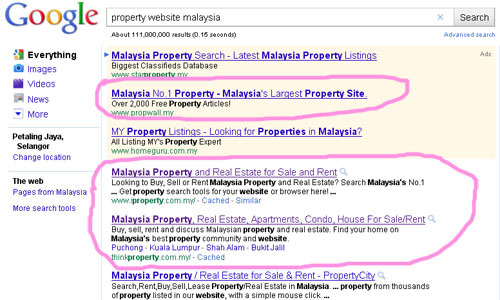 There are guides for buying, selling, Malaysia My Second Home etc. Good if you're new to this whole buying properties thing. There's a forum where the users can discuss about properties, renovation rules, ask for help or anything else regarding properties. So for newbies, this is the site to visit. 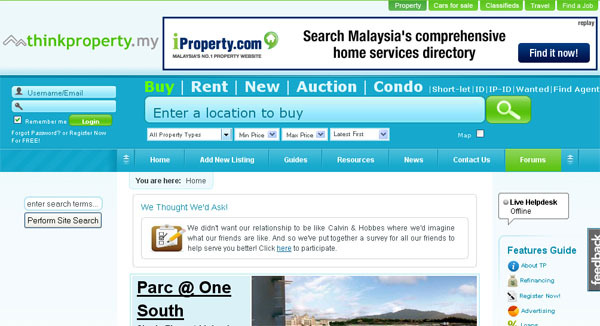 Propwall and iproperty definitely the top 2 property websites in Malaysia!